The Belsly family has known very little about Barbara Schrock as Joseph Belsly’s first wife; in fact, Barbara is the least known of her Schrock siblings as no primary documents have been found for her. She was probably born in France about 1815, possibly in the Saarebourg area of Moselle, Lorraine. Barbara is not listed along with her siblings on the quarterly arrival document for Baltimore, but at some point she also emigrated to America and lived for a while in Butler County, Ohio, where her brothers and sister lived at the time. Barbara married Joseph Belsly in Butler County, but she most surely knew the Belsly (Pelsy) family in France. However, just as her birth record has not been found to date, neither has her marriage record. 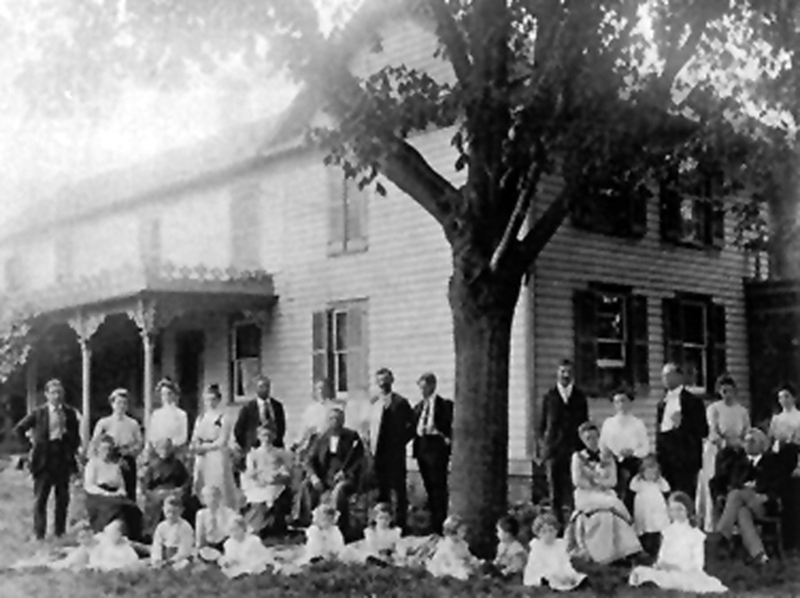 The couple eventually moved to Woodford County to Joseph’s farm north of Metamora, Illinois. Their first and only child, Christian, was born there in July 1835. Sometime in 1836, Barbara died at about 21 years of age. She was buried near their family farm. After arriving in America, Red Joe went first to Ohio where he found employment. 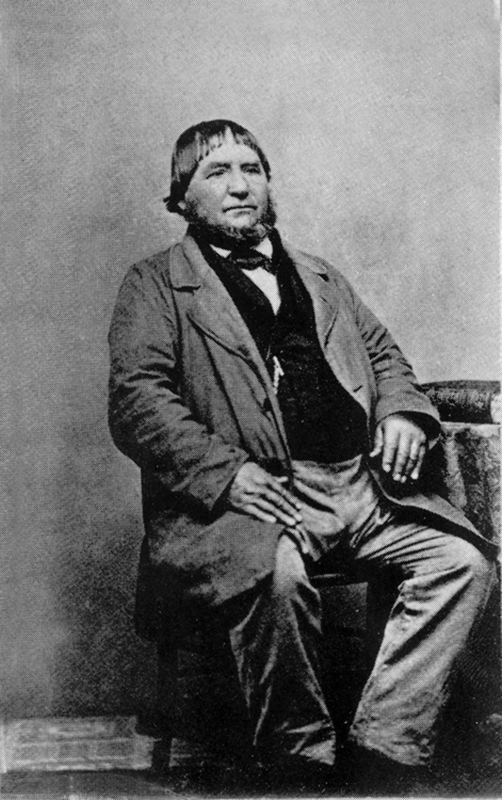 In about 1830/31 he moved to Illinois where the government was selling land for $1.25 per acre. According to History of Woodford County “…Mr. Belsley made claim to a tract on Partridge Creek, later [in 1833] sold to Joseph Johnson, and he settled then in Worth [Township] close to the Partridge line.” Partridge Township was at the time a wild, desolate, sparsely settled region. 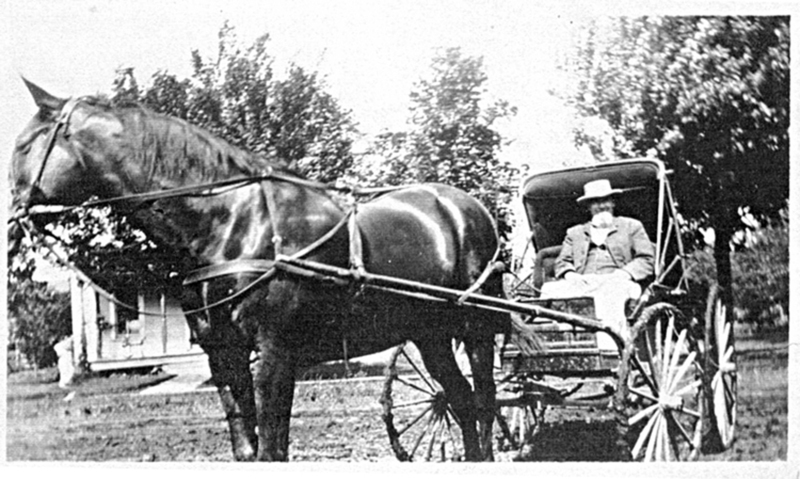 Red Joe was part of the Partridge Township Amish settlement. In 1832 he purchased a 240-acre tract of heavily wooded land on higher ground north of Metamora and built a French-style barn on the property. 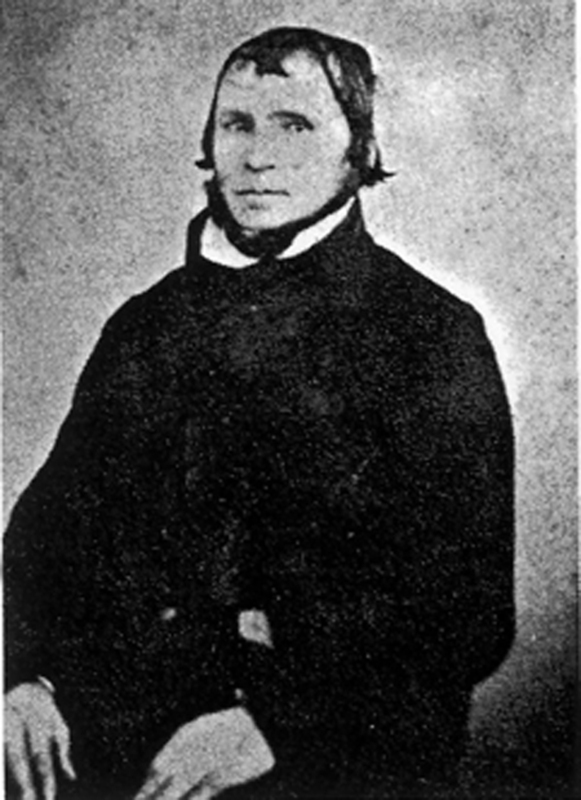 In 1840 after Barbara Schrock’s death, Red Joe married another Barbara—Barbara Engel (1803-1881), daughter of Bishop Christian Engel and Barbe Brunner. They had no children. 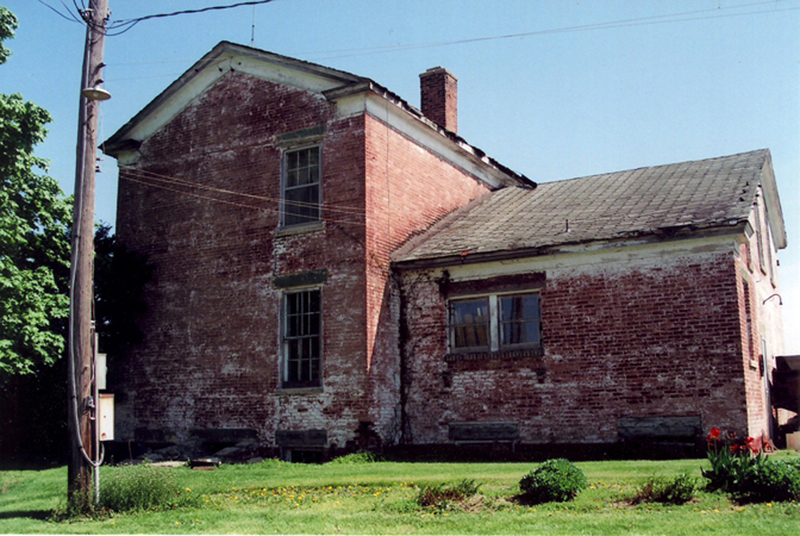 Twelve years after his marriage to Barbara Engel, Red Joe built a red brick farmhouse that was later painted white. The bricks used for building the house were made from clay dug up from Red Joe’s land. The house was fronted by an elevated buggy landing and fence. 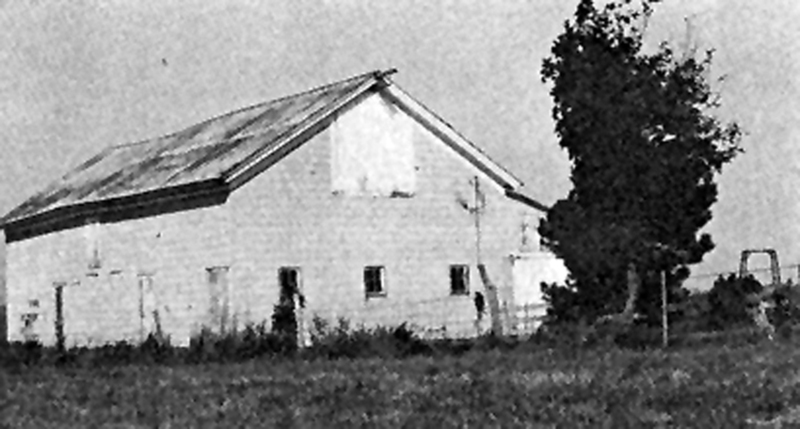 This farm has been in the Belsly family since the day Joseph purchased it and is considered to be the oldest one-family farm in the state of Illinois. When Red Joe died on Christmas Eve 1872 at age 70 of what was then called dropsy, or abnormal swelling of the tissues, his nine-page will divided his sizable fortune into 33 units that took six years to disperse through the probate process. He chose to leave his widow $2,000 but only 80 of his 2,000 acres. Son Christian, who expected a life of leisure, was left only 120 acres and a payment of $150 a year for 20 years. The family farm on Lourdes Road passed more or less intact to the namesake grandchild. 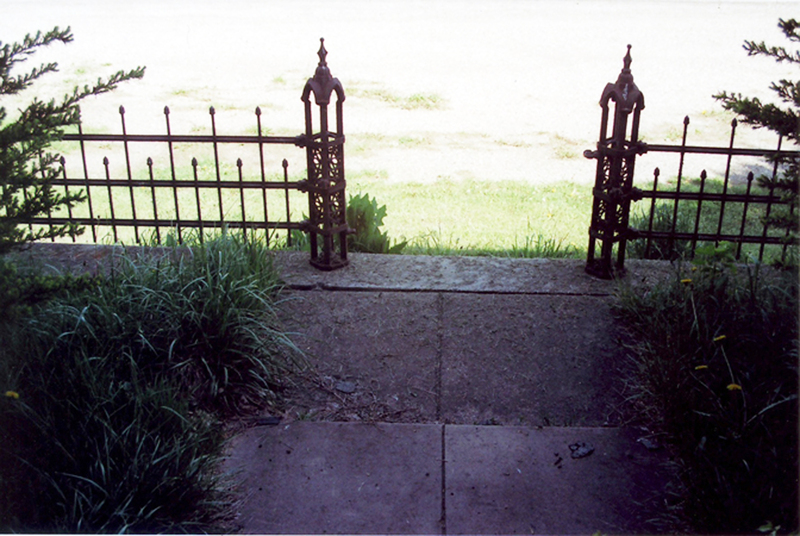 The graves of Red Joe and his wives in the family cemetery on Lourdes Road in rural Metamora. Both Barbara’s were buried in the same grave, but only Barbara Engel is named on the stone. The Feb 1873 Herald of Truth contained Red Joe’s obituary: In Woodford County, Ill., December, 24th 1872, of dropsy, JOSEPH BALSLY, snr., aged 70 years, 6 months, and 26 days. He leaves a bereaved wife and one son to mourn their loss. Services by Jacob Unzicker, Christian Esh, and Peter Gingerich. Peace to his ashes. Burial was in a cemetery near his farm. 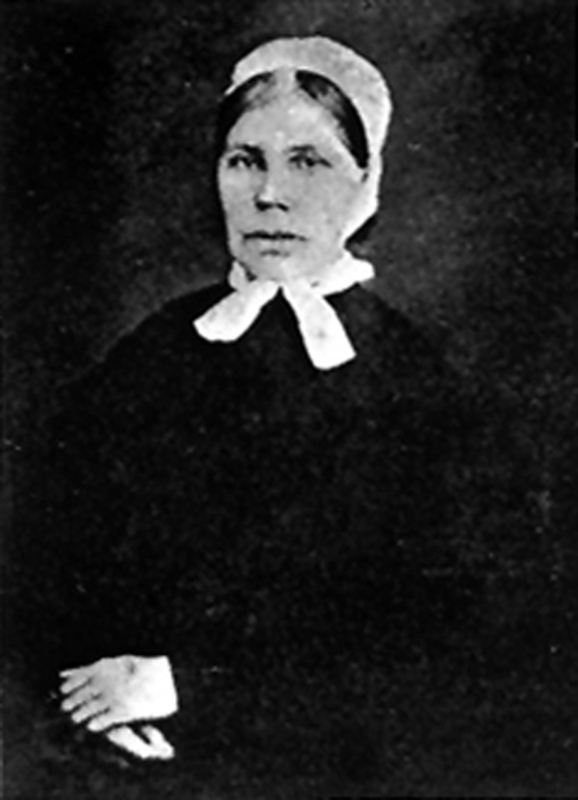 Red Joe’s widow, Barbara Engel, lived until 1881 and was also buried near their farm. At some time after the deaths, the graves of all three were moved to a different location—in a family cemetery near the homestead on Lourdes Road. 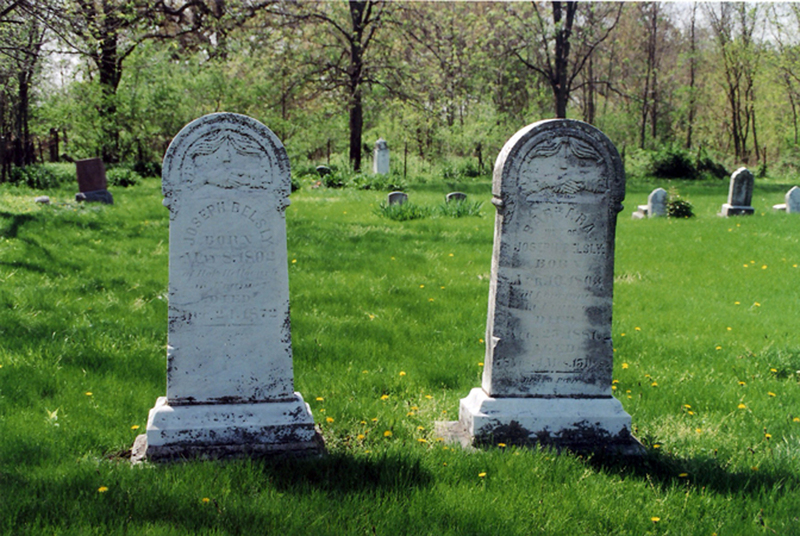 Both wives were buried in the same grave, but the stone only names Barbara Engel. This could be the reason why Red Joe’s first wife, Barbara Schrock, was all but forgotten by the family. Red Joe distrusted his son Christian’s easy nature. Relatives considered the only child to be spoiled. But Christian did help his father on the farm. They loaded produce on wagons and hauled it to Chicago. On the return trip, they brought back supplies or equipment for the farming operations. Christian more than likely found his prospective wife during a visit to his uncle Peter Schrock in Butler County. Mary lived in the next house on Salzman Road. The marriage ceremony was conducted by minister Nicholas Augspurger at Trenton in Butler County on Nov. 18, 1856. Red Joe was 21 and his new wife 19. 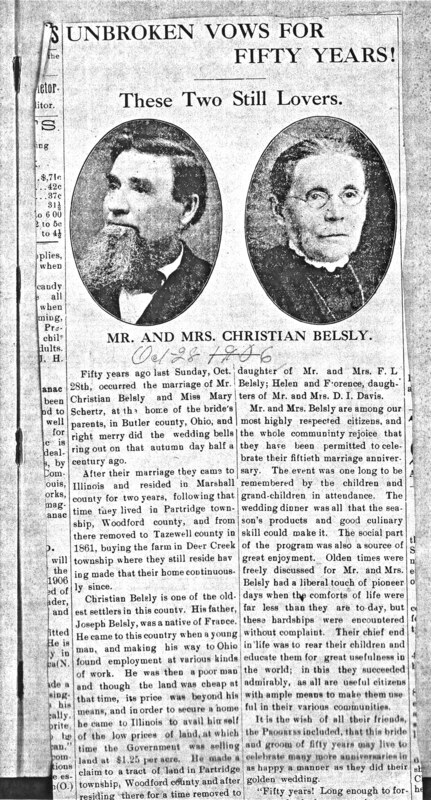 Christian and Mary, first settled for a short time on a farm at Crow Creek in Marshall County, then lived on a farm in Spring Bay for two years. Finally, Christian purchased land near Deer Creek, IL, where he and his wife lived and raised their family. Mary was a slightly built lady, loved and respected in the community. Her obituary included the following: “In recognition of a quiet, unassuming Christian life, the following simple verse will apply most appropriately—Her hands were filled with deeds of charity, the Golden Keys that open the palace of Eternity. Grandson Louis Phillips tells some interesting stories about the life of Christian. ” Chris soon began to realize that from the possessions his father had he wouldn’t have to work and at the early age of eighteen he decided that a life of leisure was what he should have. “Red Joe” would have Chris get up every morning and run down to the barn and pump water for the livestock. “Red Joe” thought it would make Chris healthy and hardy but it only served to make him rebellious against family discipline and to develops theory of independence. “Early in his married life Chris trained Mary as few wives were trained. His clothes were always laid out on the bed ready for Chris to put on. If he wanted something at the table he didn’t ask for it. He simply held his knife straight up and Mary would know what he wanted and see that it was started on the way to him. There was no idle chatter at the table when Chris was there but when he was finished with his meals helot up and went into the bedroom–or the hammock in the summertime–for a nap. Mary and all the children loved Chris but he ruled with an iron hand. In the end, Christian and his wife ran a prosperous farm and raised nine children (three others did not reach maturity). He served as a school director and commissioner of highways in Deer Creek and was highly regarded in his community. Mary died in 1911 at the age of 74 and Christian died in 1917 at age 81. They are buried in Mt. Zion Cemetery at Deer Creek. 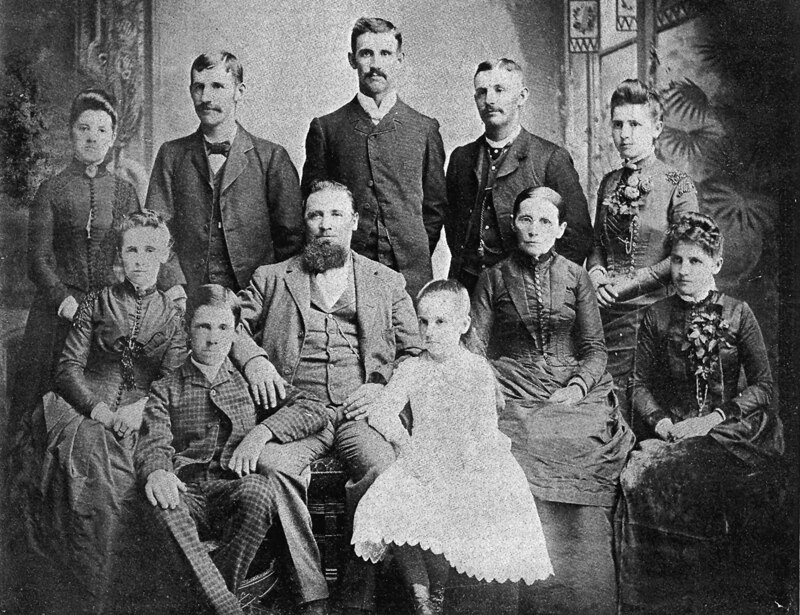 Barbara Schrock Belsly left the family picture not long after entering it, but her contribution of producing the one heir was gigantic. From her son came many generations of Belsly families populating the Illinois countryside and beyond. * The Belsley-Sauder Genealogy states that ‘Red Joe’ emigrated in 1820, worked in Ohio, moved to Illinois in 1825, and bought land in Partridge (then part of Tazewell County) in 1830. The early dates are not substantiated by other sources. The Descendants of Joseph “Red Joe” Belsly, by John Robert Belsly. Copyright 1982. 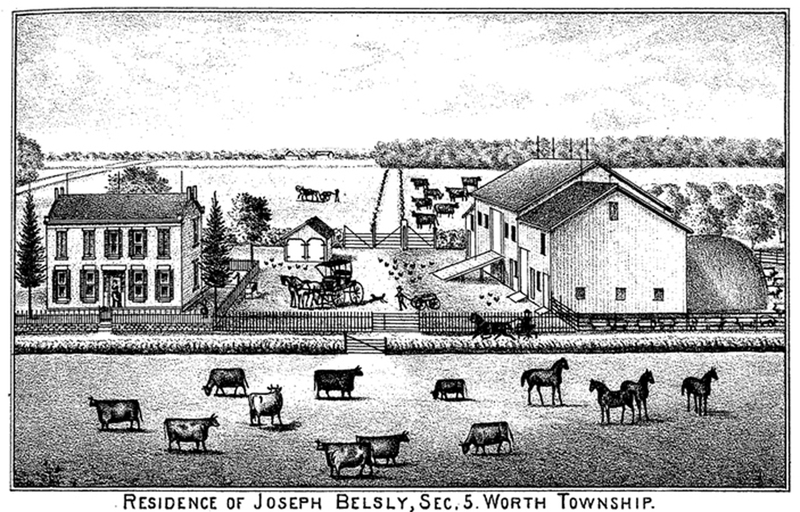 Belsley-Sauder Genealogy, Woodford Co., Illinois, by Jean Wallace Sauder. Printed 1985.